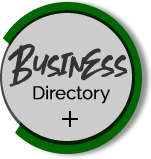 Located in the South West Industrial Park. West Central Mechanical serves Ponoka and the surrounding communities in Central Alberta. 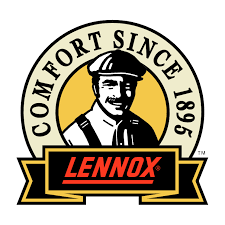 As your local Lennox Dealer, we are proud to offer the finest heating, cooling and indoor air quality products. As of 2012 we are proud to offer continuous eavestroughing and gutter clean systems. West Central Mechanical installs Continuous Eavestroughing and Alu-rex- Gutter Clean Systems. Gutter Clean Systems will not clog. Leaves, debris, snow and ice remain on top of the product, leaving rain gutters functional at all times. West Central Mechanical does removal of existing, installation of new and all repairs to keep your eavestrough working as it should. We supply, install and service furnaces, air conditioners, humidifiers and ventilation systems. We are a Lennox dealer and also handle a variety of other home comfort products. We offer custom sheet metal fabrication. Commonly ordered products include flashing, furnace ductwork, hoppers, chimney caps and metal covers. Gutter guards prevent your gutters from clogging with leaves, as well as water and debris. Ask us about our continuous eavestroughing and gutter clean systems. Eavestroughing issues? We fix leaks and repair down pipes when they accidently get damaged or just need to be replaced. Leading efficiency, serious savings. Lennox makes some of the most energy-efficient heating and cooling products you can buy. This can add up to serious savings.